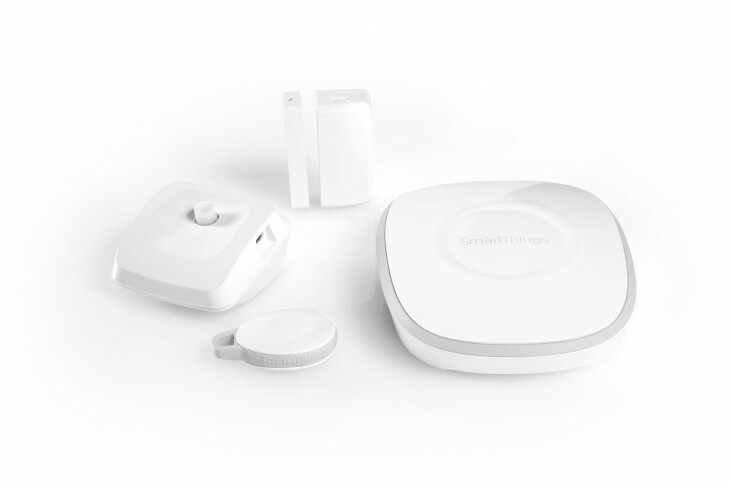 SmartThings, the maker of a connected home hub device, today made several major announcements as it moves from product to platform. The company has opened up a new certification program that will test devices for integration with its hardware hub and mobile app. At launch, the SmartThings Platform initiative includes over 5,000 developers and 100 certified devices. The company’s certification lab will be run by Kelly Liang, the former head of business development for Google Glass. Moving forward, SmartThings will work with third-party partnerships to connect with its smart home hub instead of developing its own accessories and sensors. SmartThings has also announced new versions of its iOS and Android apps today for connecting to its hub. A new SmartSetup section makes it easier to add new devices and services within the app, while a revised dashboard offers a cleaner view of everything you have installed. The iOS app should be out later today, while the Android version is coming in early June. SmartThings founder Alex Hawkinson said in an interview that the company’s vision is to make every home a smart home by creating the easiest, most accessible experience for customers while maintaining an open platform. With those objectives, the startup has its hands full, as ease of use and openness don’t always go together. Hawkinson also admitted that one of his goals is to build out SmartThings so his mom can set up her own hub by the end of the year. By his estimation, today’s announcements take the company half of the remaining distance toward that goal.